After making the initial decision to explore your ancestry and genetic origins, you are faced with a multitude of nuances, separating one ancestry DNA testing company from the next. Helix and Family Tree DNA are both excellent choices for the task at hand, but one will certainly come out on top once you identify your specific needs and expectations. Their services, although high-quality and professional, differ in small but important aspects, even though they seemingly do the same thing. Our comparison will help you spot those differences between Helix and Family Tree DNA, allowing you to make an optimal and fully personalized choice. Family Tree DNA is a product of several industry giants aiming to build the ultimate DNA testing enterprise. They offer the greatest number of separate tests alongside cutting-edge technology. Family Tree DNA offers the following ancestry DNA testing solutions: - Family Finder - Y-DNA - mtDNA Depending on the test, your final report will include information about your autosomal ancestry as well as direct paternal and maternal lineages. With each Family Tree DNA test kit, you get a unique ID number you should use to access your final report. This means that not even the company's staff will know your identity while processing your sample and generating your report. Additionally, Family Tree DNA follows the standards set by The European Commission's Directive on Data Protection, so your personal data will never be stored, sold, leased or shared with third parties. 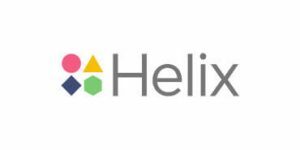 Helix is an amazing company for discovering more about yourself through your DNA. I am more than satisfied with what the value I received for my money. However, the company (and its partners) really needs to work on speeding up test processing times. I waited for my results for 2 months, which was frustrating, to say the least. Other than that, it is a flawless service and you will not regret using it for your DNA explorations. My boyfriend and I mailed in our Family Tree DNA results together on same day. My boyfriend rec'd notice from FT DNA about 1 week later that his kit was rec'd and he got his test results back in about 3 weeks. It took about 3 or 4 weeks for FTDNA just to send me notice that my kit was received and after two (2) months, I still have not gotten any results back. I had to contact them as I received no word or any explanation. I asked for a refund as I do not trust results at this point and I was told that my kit was just caught up in a "general delay" and they "don't do refunds". Why it took my boyfriend 3 weeks and here I am 9 weeks later... still waiting in SC. I sent my DNA in which was received on Feb. 25, the timetable for my results was March, then their was a delay posting and they would not get to my DNA for processing until April 1-15. Now today, April 2, there is a posting that there is another delay with dates to get to my DNA for processing is April 15 - April 30. What is up with these delays? I tried their chat at 11:30am, and found them off line. I have never seen such run around for DNA testing, this is not my first time. With their chat off and these delays, I'm thinking I got taken to the cleaners with this one. No legit company comes up with such delays going out past 60 days and turns off their chat during listed business hours. So from my experience, don't spend money for something that will just be delayed over and over. I am extremely disappointed. I have to list at least 1 star in order to post, otherwise, there would be minus stars. I have done testing with 23andMe, Ancestry an and FTDNA, and believe me, there isn't any way, that 23andMe and Ancestry can compare, with FTDNA. If you test your DNA with FTDNA, and you give them the ok, they will send it to National Geographic for more testing. I was able to upload my autosomal DNA file from Ancestry and get my matches for free. I paid $19.99 to have my Origins and Ancient Origins report. The ethnicity estimates matched up reasonably close with Ancestry's estimates. It was also interesting to get my Ancient Origins results and learn about ancient history and migrations of my ancestors. It is not a good site, in my opinion, to find relatives, as most people use Ancestry or 23andMe for that. None of my matches were surnames that I recognized, unlike on Ancestry where I was matched with all my relatives that I know in real life. I am glad that I originally took my autosomal test with Ancestry but it was a nice perk to be allowed to use the data to get services from this site.